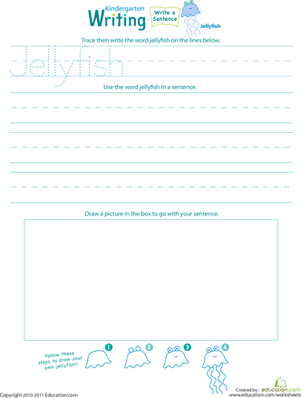 Also known as "sea jellies," these silly-looking sea creatures make a great topic for writing. 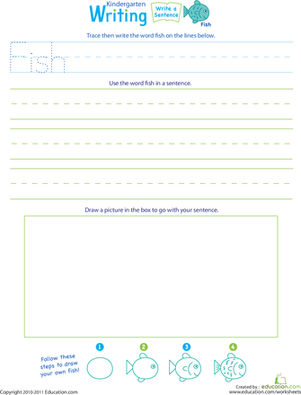 Help your kindergartener reach deep into her imagination to jot down a creative sentence about one or many jellyfish. 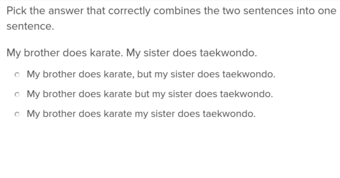 She'll strengthen her handwriting and spelling skills in the process. 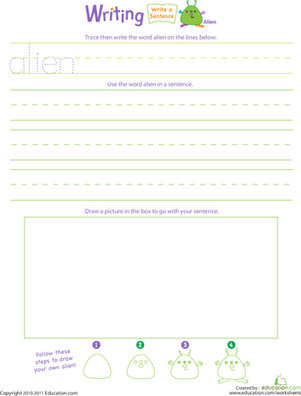 Then, she can illustrate a jellyfish-filled drawing to accompany her sentence. 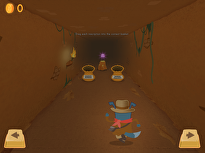 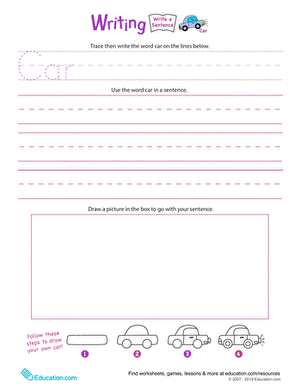 Looking for similar worksheets? 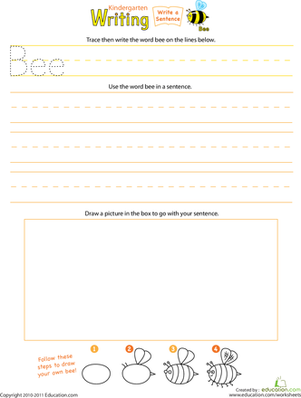 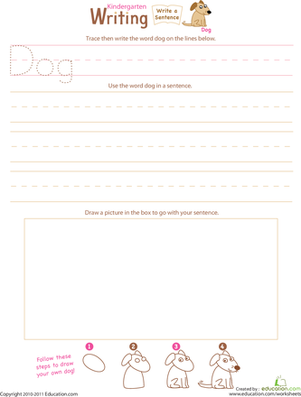 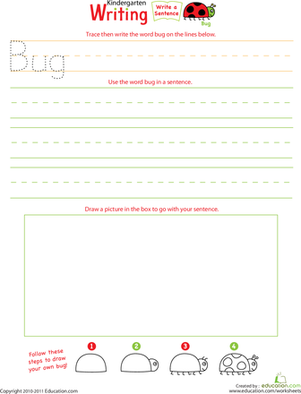 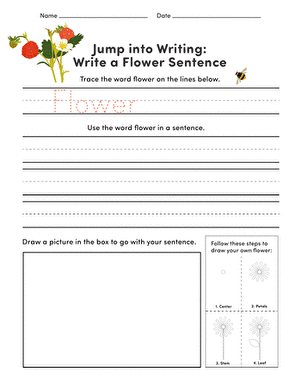 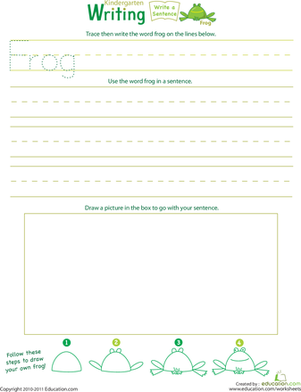 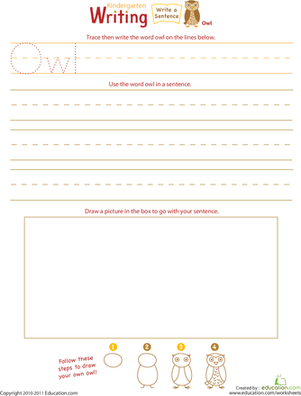 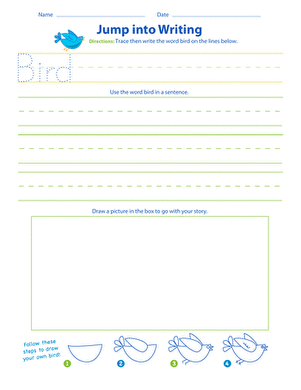 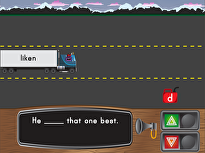 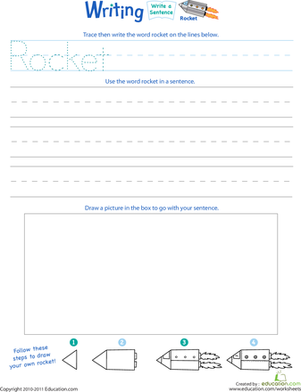 Try this fun printable that helps her write a sentence about Owls.